Thanks to the efforts of the developers of HoverRace, we are now able to play HoverRace more freely via the Internet. Although some configuration is still necessary to be able to play online, it is now a lot simpler that it was before. Future versions will hopefully see the use of UPnP which would require little to no setup, but for now, these simple steps are needed. 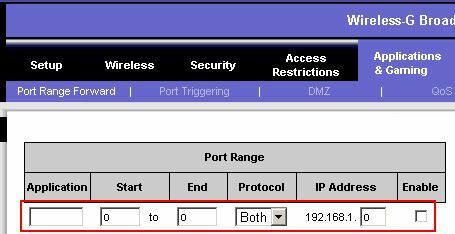 If you have a router, then this will take a little bit of configuration, you should get permission from the router owner, or even get the router owner to do this for you. 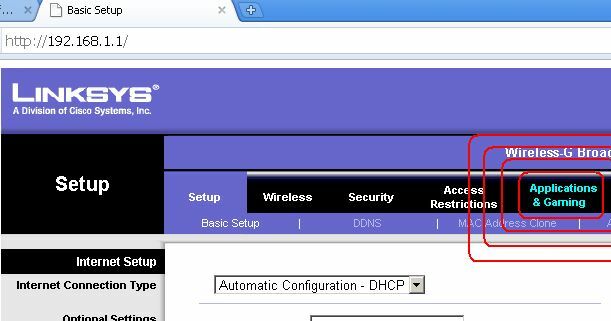 For this tutorial, we are using screenshots from a WRT54G router's configuration. Windows Vista : Press CTRL+ALT+DEL to bring up Windows Task Manager and choose "New Task" > "cmd /k ipconfig"
Windows XP/2000 : Start > Run > "cmd /k ipconfig"
Windows 95/98/ME : Start > Run > "command /k ipconfig"
If you don't know the username or password, you can try these suggestions (username/password): admin/1234 or admin/<blank> or <blank>/admin or admin/admin; if these do not work, check the documentation or ask the router's owner what they are. 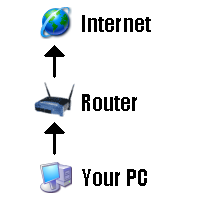 Once you have logged in, you are looking for the option to Port Forward in this guide it is under the tab Applications & Gaming, it could be in any of the sub menu's for your router type, so you should check through them all until you find it, or consult your router's manual for where the option is, or if your router provides a similar service. You will have a lot of boxes empty for entering ranges of ports you would like to forward. HoverRace currently requires that you forward 9530 and 9531 via the TCP and UDP Protocols. 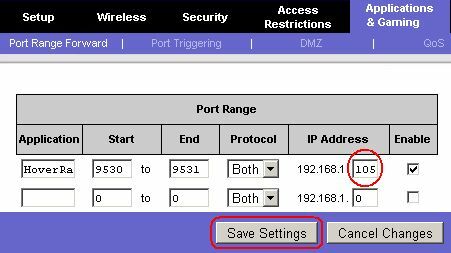 In some cases, you might have to set up two rules: one to forward the TCP ports and one to forward the UDP ports; but in most cases there is an option to forward "Both" Protocols. As we have noted our "IP Address" earlier in the guide (if not simply go through the steps to get it again), we can now set up the necessary rule to make HoverRace work. 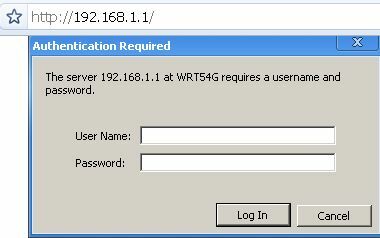 IP Address: As noted before! Now click "Save Settings" and you should be able to join and participate in races. If you want to set up multiple computers on your network to play HoverRace, you will need to adjust the ports used by the HoverRace client (via Settings > Properties > Miscellaneous) on these other computers to different ports than the computer you have set up using this example (for example, PC #2 could use 9532 and 9533), you will then need to create new rules to reflect this. If there is anything you believe needs adding, just post about it on our forum.